After a surge in prices over the past five years, Sydney is facing a 'housing bubble' according to UBS Wealth Management’s latest Global Real Estate Bubble Index. However, if I’ve read one property bubble story I’ve read a hundred. The media has been full of talk about whether the Australian property market is significantly overpriced and due for a significant correction for years. But are they right this time? 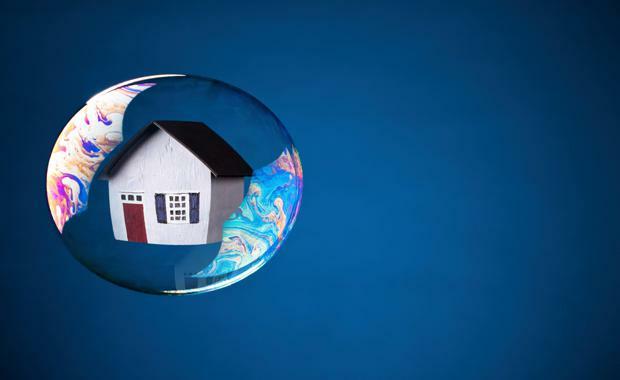 Are we in for a property market collapse?The simple answer is NO and property values are not about to collapse!Sure house prices are high compared to many parts of the world, but rising prices per se don’t cause a bubble. Of course property values will correct in the future , but our property markets have been rising and falling for centuries, but there has never been a “collapse” of Australian capital property values in modern times. You see…what is needed for a bubble to occur is for the rises to be fuelled by increased borrowings – leverage – which makes the banking system fragile and unstable and of course the implication of a bubble is that it will burst and prices will collapse. 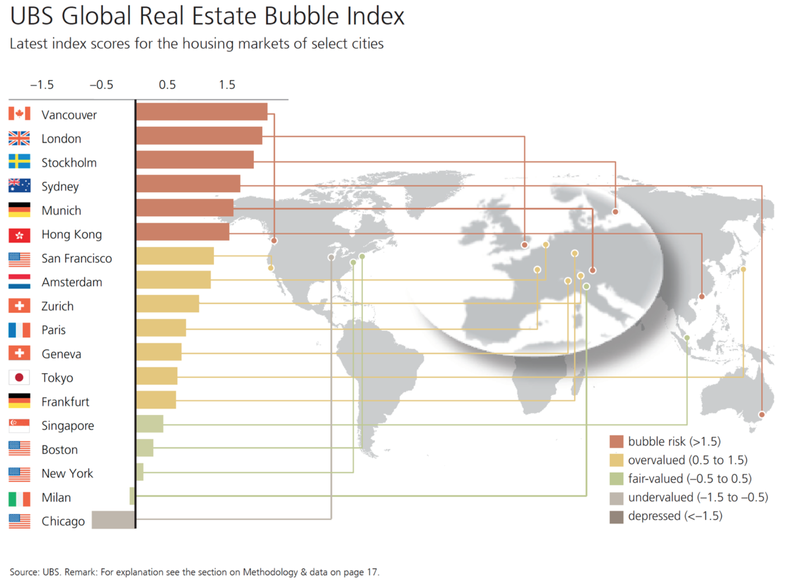 The latest report included six cities in its bubble zone: Vancouver, London, Stockholm, Sydney, Munich, and Hong Kong. It found that house prices of the cities within the bubble risk zone have increased by almost 50% on average since 2011 while outside of those six bubble zone cities, prices have risen by less than 15%. UBS said Sydney’s housing market has been overheating since the city became a target for Chinese investors several years ago with housing prices, adjusted for inflation, peaking in 2015, after a 45 per cent rise since mid-2012. "Increasing supply and further tax measures to reduce foreign housing investments may end the price boom rather abruptly," the report noted. However, there’s no need for the kind of concern about a housing crash that was seen in the US a decade ago, according to Jon Woloshin, a strategist at UBS Wealth Management. Remember, for a property market to crash you need desperate sellers willing to give away their properties at fire sale prices and no one willing to buy them. To make our property markets crash – and that’s different to price growth slowing or the normal cyclical correction – we need one or more of the following four things. An excessive oversupply of properties and no one wanting to buy them. Other than in a few spots inner city high rise markets, this is not occurring in Australia. Established properties close to those locations where an oversupply of new projects is looming.